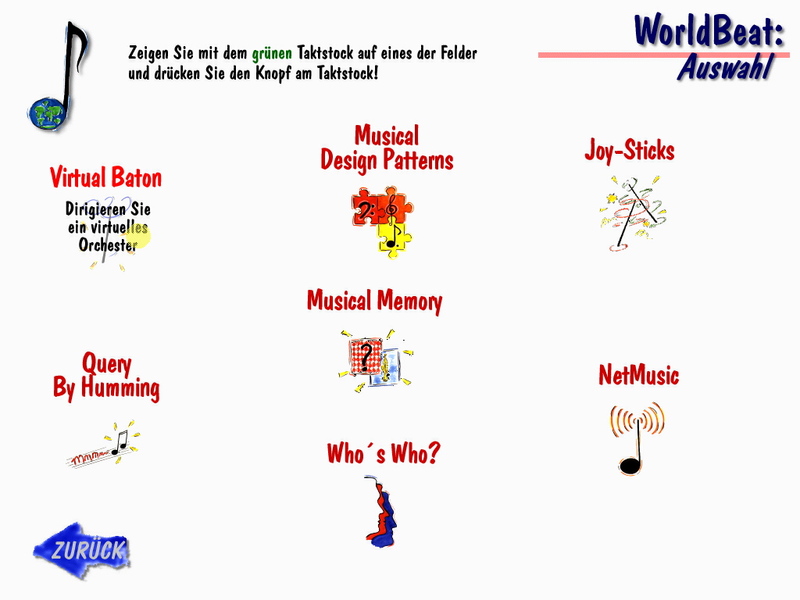 WorldBeat is an interactive, computer-based exhibit about computers and music. It demonstrates how computers can help you playing, improvising, composing, conducting, listening to, and learning about music. Follow the links below to learn more about the WorldBeat system. What does WorldBeat look like in use?. This 2-minute online movie demonstrates the system in use. For best results, the movie was compressed using QuickTime, which is available from Apple for free. How does it work, and how does it use Opcode stuff? How good is it, who did it, and where can I learn more about it?